This blog is so near and dear to my heart. So, I put a lot into making it the best blog ever! After a few years of trying new things, getting into a groove and growth, I’ve found some tools that help me create this blog. 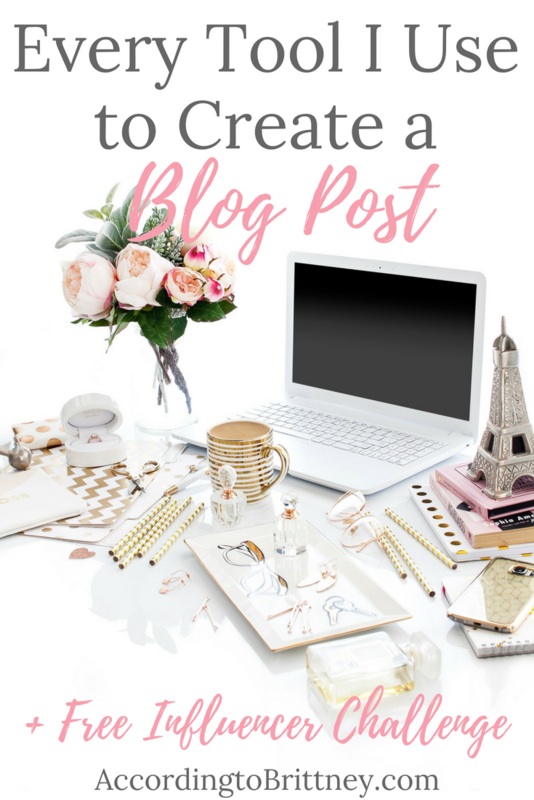 So, I rounded up all the tools I use that make a post happen. Including this one! I owe my whole blog to WordPress. WordPress is an open source website builder. When I started my blog, I knew that this was the platform I wanted to use because it offers so much in terms of functionality. Plus, knowing how to use it was a plus on the resume. To get started with WordPress, simply make an account. It’s completely free to use. But, I pay annually to have my site self-hosted which unlocks all the features of a WordPress blog. Can’t talk about my blog without talking about Siteground. Siteground is a website hosting service. Basically, WordPress is the home and Siteground is the land my home is on. I maintain the house while Siteground mows the lawn. I chose Siteground because they work well with WordPress and is very affordable! To get started with Siteground, you pick a plan that works for you. The beauty is you pay yearly, so you don’t have to worry about a monthly fee. I highly recommend going with the self-hosting option to get more out of WordPress. I use the Yoast SEO plugin for every blog post I write. This plugin actively helps you rank higher in search engines by giving you SEO and readability tips. This is important because you want your blog to be searchable. When the plugin turns green, I know that my post is good to go! Okay, if you’re not familiar with plugins, they are these cool bits of code that add something new to your WordPress site. You must be self-hosted to access plugins like Yoast. All you have to do is search for it then install and you will see the plugin on every page and post of your blog guiding you! This tool has had my heart since Day 1. Canva is an easy to use graphic design tool that allows you to easily create stunning images. Any graphics you see me create (besides my logo) was made with Canva. It’s the tool that helped me create a beautiful brand for my blog. Canva is free so to get started, make an account. There are paid offers that give you a little more to work with as well. You can upload pictures, add brand colors and created as many images as you want! Go now! Pictures are seriously important when it comes to blogging. The words are what keep people coming back, but the photos make them stop in! So, this year, I purchased a stock photo membership because I was tired of spending hours on Pexels trying to find a free picture. Create Her Stock was the best investment ever! I use these photos for my blog and my clients. They give a super professional look to anything you’re working on! To get started, select a plan that works for you. Next, get access to a library full of photos for literally anything! You will not regret it. I’m a busy lady, so I’m not always able to do everything manually. At the same time, blogging and social media go hand in hand. So, in comes Later, a social media scheduler. With this tool, I can schedule out my Instagram posts for the week and they will go on my page automatically. i don’t have to be involved! This is a serious time saver. To get started with Later, make an account. Start adding pictures to your calendar with a snappy caption. Then, set it and forget it! Manually posting is for the birds. These tools are great and they seriously help me run this blog, but there are some tools you need that a software can’t provide. Like coaching, support and strategies to help you grow. Luckily, you can find all of that if you join my new free 5 day challenge, #Blogger2Influencer. We’re going to take a deep dive into finding your niche, strengthening your mindset and working with brands! Want to join us starting July 23rd? Sign up and grab a free gift while you’re at it! These tools will help you write the best blog posts and excel your influence! What’s your favorite blogger tool?